Artificial Sweeteners: Are They That Bad? There is much debate on the use of artificial sweeteners (AS) and their impact on health. AS include sucralose (Splenda), aspartame (Equal), and saccharin (Sweet’N Low). Some people claim AS as benign sugar alternatives helping many to reduce calorie intake, control blood glucose levels, and ultimately lose weight. Other people claim AS as health hazards, negatively impacting the digestive and nervous systems, increasing sugar cravings, and ultimately causing weight gain. The question remains: Are they that bad? I’m typically the first on the No-Go-Bandwagon when it comes to consuming any artificial ingredients in foods. However, it is important to thoroughly review the literature before drawing conclusions. An April 2016 systematic review in the Journal of Neurogastroenterology & Motility specifically assessed the findings of 26 studies that questioned AS (i.e. aspartame, saccharin and sucralose) and their effects on the gastrointestinal (GI) tract. Researchers explore cell (in vivo), animal and human AS trials. While cellular and animal trials are an important component in identifying mechanisms and trends, human studies are necessary to draw conclusions about human health. There is some indirect evidence that AS change motility in the GI tract. Four small human studies reviewed this question. Three studies found that AS had no change in the movement of food through the stomach and had no change in GI motility blood markers. One study found that glucagon-like-peptide-1 (GLP-1), a hormone that has been shown to slow GI motility, was higher in those that consumed diet soda compared to carbonated water, but only in the presence of glucose (real sugar). Animal studies provide significant evidence that AS change the gut microbiome. However, animals and humans have very different microbiomes and this evidence needs to be separately proven in human trials. Only one small human trial on this topic has been reported and it appeared that results varied according to individual variations in the microbiome. At this time, there is no human data defining the effect of AS on GI symptoms. Various studies review this question in animals, but results vary according to species. Also animal studies do not translate directly to human impact. So, Are Artificial Sweeteners That Bad? More research exploration is necessary to assess the safety of each type of AS on GI health. Most individuals discover the impact of AS on their digestion and overall health through trial and error. Peoples’ tolerances vary depending on the type of AS and the dose consumed. The takeaway I tell my clients is to use AS in moderation according to specific tolerance and if symptoms develop, immediately refrain from use. 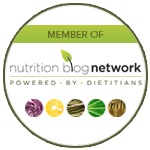 Are you looking for help identifying problematic foods that may impact your digestive health? If so, contact me today. 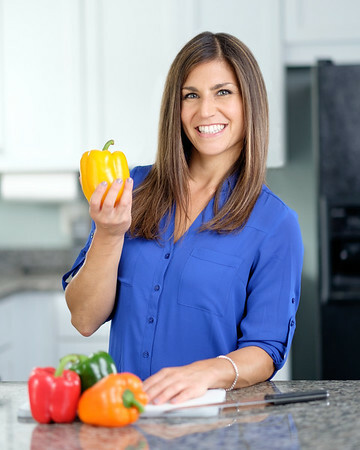 I help people across the nation develop dietary plans that support their health needs and improve their digestive health. What the Heck Is A Leaky Gut?